Overall Condition Poor to fair. Most ofour pieces have spent decades on at least two continents, and have been treasured by several owners. Small splits, scrapes and cracks are a normal part of their patina attesting to their age and extensive use. We examine each piece carefully when we receive it and report any damage we find in our listings. Please look carefully at the pictures which may also reveal condition and damage. 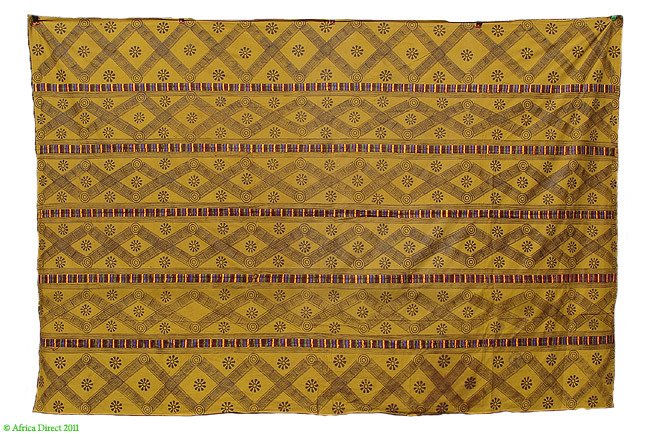 Additional Information: A superb Asante stamped cotton fabric identified asa Adinkra cloth. 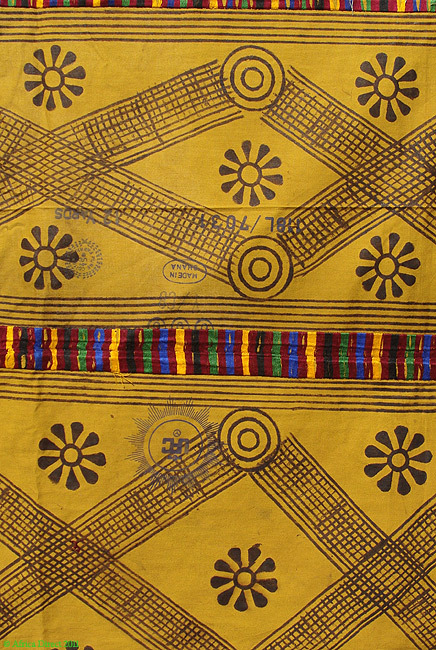 Adinkra cloth is made out of cotton and decorated with stamps carved from gourds or calabashes. Both the background color and the symbols reflect values of Akan society. 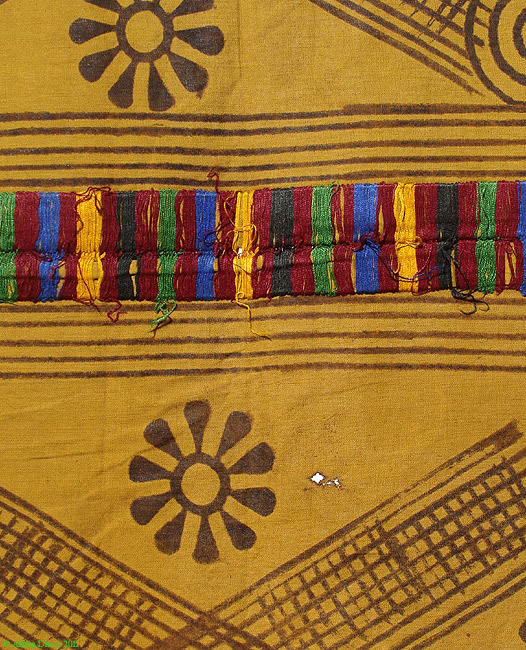 See an excellent explanation and examples in "AFRICAN TEXTILES AND DECORATIVE ARTS," by Roy Sieber. The stamps are carved from a calabash/gourd so that the design stands out in relief. Cloth stampers will dip the stamp into a small clay bowl with the dye and stamp the cloth which is laid out on the ground pegged at corners to keep it straight and flat. The dye is made from a water soluble dye that is made locally from bark that comes down from the north. Men stamp and weave the cloth and sew it together while women control the making and selling of the dye, sell the cloth to the stampers, then sell the cloth in the market or to family groups. Each stamp is identified with a proverb, popular saying or dictum. Tradition has it that there were only about 60 different stamps, but old books and scholars have concluded there are many more.